Hi, my name is Vanessa, and I make government applications easy so people can land the job of their dreams. I am a qualified psychologist (specialising in Organisational Psychology) and recruitment lights up my life! As of 2019 I will have exactly 20 years professional recruiting experience both in the private and public sectors. I have assessed over 25,000 government applications, which is where I stopped counting! 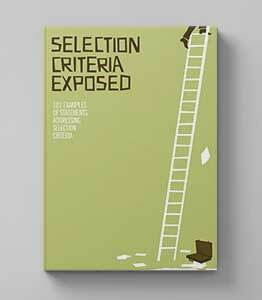 This includes more than 2650 government interviews for roughly 510 different selection panels. The roles I have recruited for have been at all government levels, from entry-level to Agency Assistant Director. Prior to working in government recruitment, I worked for a private recruitment consultancy, interviewing candidates and conducting psychometric testing. Right now, I assist a variety of government departments across Australia to implement and improve their recruitment policies, practices and strategies. I work with agency heads and their HR professionals to recruit to the highest standards, ensuring the public service is staffed by qualified and capable personnel. I also provide training to recruitment delegates and selection panels. My passion, however, is helping applicants unravel the mystery of government job applications and selection criteria. It frustrates me that so many well qualified and highly capable applicants aren't even getting to the interview stage, simply because they don't know how to tackle the written application. It's not fair that the best writer often gets the interview rather than the best candidate. 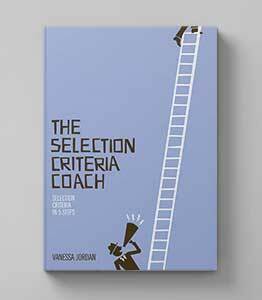 I've written three selection criteria books to help you on your government job application or promotion journey, and you can also sign up to my newsletter here.